Fall is the perfect time to enjoy specialty foods and beverages and I think I may have found a Halloween/holiday staple for my house in Fulton's Harvest Pumpkin Pie Cream Liqueur. This exceptional product is made by Heaven Hill, who was elected 2009’s distiller of the year by Whisky Magazine and is best known for a rich tradition of Kentucky Bourbon. 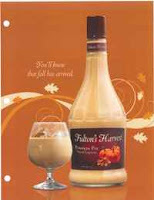 BARDSTOWN, Ky. – Fulton’s Harvest Pumpkin Pie Cream Liqueur is available for fall 2011 nationally. The lush, creamy all-natural liqueur is the first-ever pumpkin pie cream liqueur and is immediately reminiscent of homemade pumpkin pie complete with the flavors rich vanilla, brown sugar and spices. It is best served chilled or on ice, as well as in coffee and in a variety of cream-based cocktails. 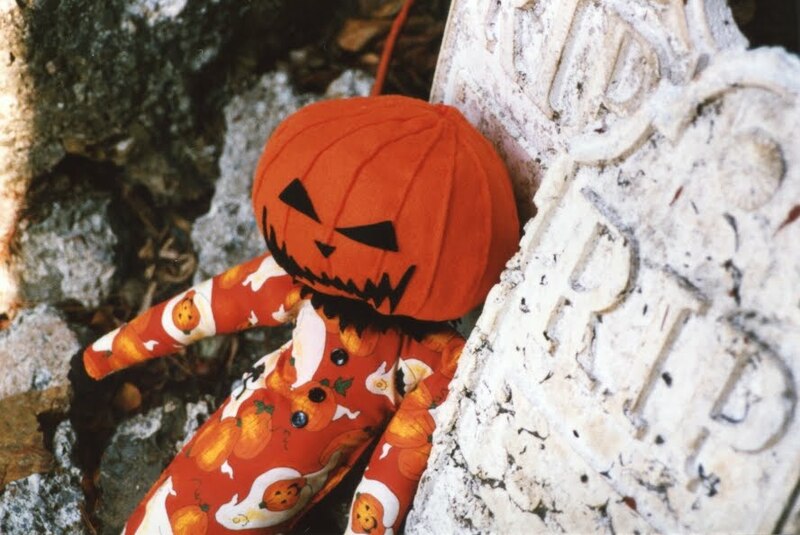 Launched originally in limited markets, the seasonal item is available at retail from September through November. The package for the product features pumpkins and spices and reflects the vivid colors of autumn. 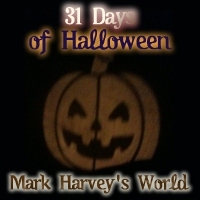 The product is a direct result of keen seasonal interest in pumpkin flavors and scents. I know, I know…this isn’t beer and you may be wondering why I am reviewing a liqueur…so I’ll tell you. At first I wasn’t sure about the purchase. One never knows how good something like this will turn out. Fulton's Harvest Pumpkin Pie Cream Liqueur pours with the consistency of Bailey’s Irish Creme – similar in color. It smells like pumpkin pie with nutty overtones. I also detect the scent of graham crackers. Sweet, but not overly, it tastes like Heaven in a glass. Perfectly spiced. Perfectly sweet. Creamy and like pumpkin pie in a glass. Fulton's Harvest Pumpkin Pie Cream Liqueur is a unique liqueur that is full of flavor and packs quite a punch at 12.5% ABV. Available from September through November in 750ml bottles. The Cast of Eerie Publications perform the Johnson-Smith Novelty Company "Horror Record"
I don't typically put gore on my blog nor do I like gore at all, but this animation is pretty darn exceptional so I figured I'd put it up here. GORE WARNING...if you come to know and love my more safe and whimsical Halloween fare, don't watch this YouTube video...slowly move away from the monitor..or maybe watch this.